© Copyright Grant Powell & Co 2016. All Rights Reserved. 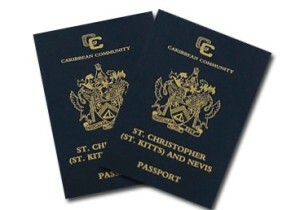 We take pleasure in telling you about the citizenship program in St.Kitts and Nevis. Briefly speaking the program is sanctioned by the Government of St.Kitts and Nevis and has been in existence since 1984 thus making it the longest established program of this kind in the world. During those years a number of changes have been made by government to reflect their policies from time to time and with a view to strengthening the product offered by the government. Citizens of St. Kitts & Nevis are allowed to hold dual citizenship, and the acquisition of citizenship is not reported to other countries. When you acquire citizenship under the St. Kitts & Nevis citizenship program, you and your family enjoy full citizenship for life, which can be passed on to future generations by descent. As citizens of St. Kitts & Nevis, you and your family are issued with passports which allow visa-free travel to more than 140 countries and territories worldwide, including the entire European Union. Of course you have the right to take up residence in St. Kitts & Nevis as well as in most of the CARICOM member countries at any time and for any length of time. You are not liable for taxation, even if you decide to reside in St. Kitts & Nevis, as there are no direct personal taxes, no inheritance taxes and no wealth taxes whatsoever. 1. Police record from the jurisdiction from which the person is coming. 2. An HIV test which must come from a lab, that is, not just from a medical practitioner. 3. Passport size photos (4) for each party. 4. Copy of the picture page of passport with particulars. This must be notarized. 5. Birth certificate of party. 6. Marriage certificate, if applicable. 7. If divorced, divorce decree. 9. Address of residence, proof in the form of utility bill which must be notarized. If party has been living there less than six months then there is need to provide the proof of previous residence. 10. Consent form to be provided by the head of the household, form must be signed by all parties over the age of eighteen years (18). 11. A cheque, non refundable in the sum of US$7,500.00 for the main applicant and US$4,000.00 for each dependent over the age of 18 for the purpose of background checks. 12. Children under the age of 18 years need not provide HIV test neither police record. 13. Can file for children between the ages of 18 and 25 once they are going to school. There are two schemes by which one may apply for Economic Citizenship. 1. Through investing in real estate in a Government approved project. 4. Children/Dependents over 18 US$50,000.00. 5. US$47.00 payable for each certificate. The above five (5) items are fees payable to the government and do not include legal fees for processing the citizenship application or property transfer. 4. Applicant with up to seven (i.e. one spouse and four children): a non-refundable contribution of US$450,000 is required. 5. An additional contribution of US$50,000 is required for each dependent beyond 7. The required contributions are not inclusive of legal fees for the processing of the citizenship applications. We estimate based on experience that it takes about 2 weeks for the full preparation of the documents. It would take about 3 months to the completion of Citizenship application. We are authorized by the Government to do such work. We enjoy an affiliate relationship with Island Realty and Property Management, a licensed real estate firm in St. Kitts and Nevis. Island Realty is ideal for located the right investment property for your needs and wants. Its property management services offer you peace of mind when it comes to the management and maintenance of your investment after closing. We also enjoy an affiliate relationship with Gibraltar Trust Company, an asset management and trust company. Gibraltar Trust can assist you with incorporating an appropriate vehicle to hold your newly acquired asset in, within the privacy and confidentiality of the Nevis offshore jurisdiction. For more information or to start the application process please contact Jonel Powell at jonel.powell@grantpowellandco.com.